All of our videos from the conference are being used for IOC accredited courses in sports science – we also learn so much from listening to people who are on the cutting edge of sports performance. Whilst at the conference in December 2017 we filmed many short questions that were fired at some of the experts - you can see these on the ‘IOC Diploma Sports Nutrition’ youtube channel. We hope that in December 2018 that we will be present again to see what the ISENC conference. has to offer. Whilst at the conference we were privileged to film Sir Chris Hoy who is not only a great athlete but also an amazing speaker, you can watch it here. We filmed at two music festivals during the summer of 2017. These were Maddy Prior’s Stepping Stones festival and Music on the Marr, both of which were amazing. We were most ably helped by Hannah Brown, Anna Thomason and James Smerdon who make up an excellent film crew. You should even spot some of our team in the videos. Watch the Stepping Stones video it was such a great event! …. and the Music on the Marr video -The festival video is joyful - watch it and smile! At these festivals we also made live videos for Tenth Avenue Band, Jake in the Box, The Big Blue, Brothers Gillespie, Hadrian’s Union and Green Man’s Apprentice. In the Autumn we made a 2nd folk video for Devils Water. It poured with rain on the days either side of our shoot but when we filmed we were gifted with the most beautiful Autumn day of 2017 – watch the video and see the colours as you listen to the music. Our year finished as it began working at the ISENC conference at Newcastle University where we were filming the ‘Rocks Stars of Sports Science’ and also had the honour of seeing and filming Sir Chris Hoy. In December 2016 we were present at the ISENC conference. We filmed many lectures given by the top sports scientists from across the world so that they could be used for distance learning type courses including the ‘IOC Diploma in Sports Nutrition’ ! Whilst at the conference we also filmed an interview with world champion Ironman triathlete, Sebastian Kienle, you can watch it here. Sometimes things come along and are a real privilege. Working with Tygers of Pan Tang is one of those times. In mid January 2017 we met up in the O2 Academy in Newcastle upon Tyne and put together our second video with them. The video features an anthem like song ‘Glad Rags’ and the introduction of an additional cast of women who play the alter egos of the band make it very special. It was a real team effort by everyone and in such conditions it doesn’t seem like such hard work. Nile Lines, the lighting engineer from the Academy, needs a special mention – he helped us get the exact lighting effects that we needed. Make sure that you check out this video – you will want to watch it again and again! In late November we had the privilege to film Maddy Prior and Rose Kemp leading a vocal tuition course at Stones barn in Cumbria. It was a very special course that enabled people of whatever level to improve their singing ability. So whilst filming we were treated to some wonderful sounds and also some wonderful food! Maddy has been at the forefront of English folk music for five decades and continues to have an amazing drive do new things whilst still maintaining a strong presence as a performer. We can strongly recommend the quality of the courses at Stones Barn and you can find out more at the website stonesbarn.co.uk . Make sure that you check out the video that we made from our visit! In early July we had a great day of fantastic music at Tynedale Park where we were one of the sponsors for the wonderful Corbridge Festival. There was music on three stages, entertainment of all types, a wide range of food and drink, craft stalls and a funfair– something for the whole family. Ian also ran the Marquee Stage with Dan Charles of Ubeat TV and sqeezed in a good set of his own music as well! We were helped by Hannah Brown and James Smerdon who made up our film crew for the day which finished with The ‘amazing’ Coral. The festival video is a different pace from previous festival videos that we have done and features a great track by the young Courtney Dixon - take a look! In late July there was a long weekend of fantastic music in the small Cumbrian village of Castle Carrock. There was music, workshops, entertainment of all types – even a festival race – which Matthew won! Ian also ran the race but was some distance behind, but he did lead some great ukulele workshops and played a big set on the Mainstage performing his songs with guitar. We were helped by Anna Thomason and James Smerdon who made up our film crew for the weekend which finished with a bang when the Lindisfarne Story did their stuff. The festival video is joyful - watch it and smile! We had an amazing Time filming a new video from this legendary band. We were fortunate to be able to use Newcastle’s O2 Academy which has a great stage and brilliant lighting. The hall was also big enough for us to set up a green screen and try out some experimental shots (which worked really well) that Matthew devised. The band members responded to the filming brilliantly and we had great support with the lighting from Nile Lines and our support crew of James Smerdon and Anna Thomason. The video has turned out really well and is getting a lot of attention – so why not have a look! It is September so summer is over and we have been busy and creative. We started with Maddy Prior's Stepping Stones Festival in June and what a festival that was - a lot of amazing music in a very special setting - If you have never been it is a must for 2017 - if you did come you will certainly be going back. Take a look at our festival video, it will definitely help you make your mind up, it features an wonderful Steeleye Span track. Well it certainly is different from our other music videos which is what we want. The whole trip was very special and the content of the Symposium was of real interest to us. We were staying in great hotel which overlooked Lake Geneva across to the snow covered French Alps. We had two days of filming and on the second day recorded the graduation ceremony for students who had completed the two year diploma and were looking forward to how they could make an impact on sport in their many countries. Our trip was full of highlights not least a guided tour around the Olympic Museum. Sometime back in 2015 we had a great day with Talk Like Tigers and filmed at two locations - the second of those locations was the 'Victoria Tunnel' a mining relic from the 19th century and re-used in the second world war as an air raid shelter. We felt very privileged to film in such an amazing location and equally satisfied with the resulting music video which is very special. Back in October 2015 we had a great fun day filming this on a farm in County Durham. This is the second music video that we have done for Offpeak and we had as much fun filming this as we did doing the first. There is a great story in the video and the music packs quite a punch. Take a look and share it with your friends! January 2016 saw the release of a music video for an exciting young Newcastle based Indie band - Twist Helix - It was their first (and hopefully not their last) music video. They were great fun to work with and we are all pleased with the outcome - the song was of course really good aswell! Also, what is also very pleasing is they the have a slot at the coverted 'Maddy Prior's Stepping Stones music festival' this coming summer. Check out their video and enjoy it. It has been a interesting year - starting very quiet and becoming busier as the year developed. As in other years we have filmed some brilliant music videos - working with some wonderful musicians. We have produced festival videos for two quite different music festivals. ... and at the end of the year we have been very lucky to film at two international sport science and nutrition conferences - including filming an interview with one of Britain's greatest athletes - Liz McColgan. We, Matthew and Ian, wish you all a Merry Christmas and a 2016 that brings the things that you aspire to and work towards. Ian celebrating at 60 Matthew celebrating in the mud! The video of the great Corbridge Festival from July has just come live. The festival was packed with a great programme on three stages. It is definitely worth watching and has music from the brilliant Jar Family. We had a great time at the amazing Music on the Marr Festival in the small Cumbrian Village of Castle Carrock. The festival was packed with a great programme of activities and music. We had some brilliant support from volunteer crew members - Freya and Minnie Fraser, and Anna Thomason. The video is very special and you will want to come next year - take a look! At the beginning of May we had a trip to Esh Winning to film the first music video for a band called Offpeak. We spent the first park of the day filming in the commercial premises of a garage – which was fortunate as there was torrential rain outside. The weather improved later in the day and we moved to some nearby woodland to finish the shoot, even incorporating a little innovative 'on location' green screen work in the process. 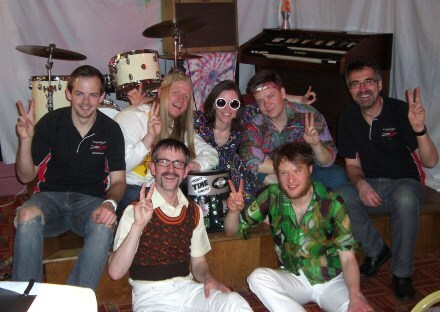 The band and their team worked enthusiastically all day which is always essential in the production of a good video, and this one is more than good. Flashlight Films is delighted to announce that we are one of the official sponsors to the wonderful Corbridge Festival. Matthew will be on his toes capturing footage to put together another special video of the event whilst Ian will be compering the Bluebell stage in the marquee as well as doing some filming. Any bands seeking their sets to filmed in full with a view to having live videos of some of their songs should contact us beforehand. In the meantime checkout our 2012 video of the event. We have been upto a few few things of late not least working on the imminent release of our latest music video with 'Talk Like Tigers'. We had a great shoot day on February and used some good locations and one particularly great location where we were allowed to film. It is going to be another good one, but different, so be ready for it. The other news that we have is that our third partner, Hannah Brown, has moved on to some really great things following her graduation from Edinburgh University. She has relocated herself in London and is now working for BskyB. She has done some amazing things with them already, been on some great shoots involving some big celebrities and even had her name in the credits for a programme broadcast just before Christmas . We are sure that she is going to move on to great things! One Sunday in October we had a trip to Newcastle to film the video for the new single released by the amazingly talented and quirky Peculiar Disco Moves. The content of the video promoting their new single ‘When Your Mother Goes Home’ was kept secret up until its release on youtube where it has also been featured exclusively for NARC Magazine's brand new website. The idea in the video is a spoof on ‘Dragons Den’ where the dragons are played by mothers (the band in drag) who have a selection of men trying to impress their qualities to the dragons to show if they are suitable for their daughters. As usual the filming day was great fun and the final video reflects that, it is a song worth listening to and the video brings it to life. You will see the band as you have never seen them before! Whilst filming on the Quayside in Newcastle at the end of May,2014, we were treated to the arrival of quite a large luxury yacht which required the Millenium Bridge to 'blink'. This was very fortuitous as the song, written by Richard Ridley of 'Devils Water', was called 'My Ship's Coming In! The filming was really fun to do as the band members played the song live several times in different locations along the Quayside and each time a crowd gathered offering a round of applause at the end. After a massive effort by our editor, Matthew Brown, the music video to support the launch of the new single release - 'Lost For Words' - by Peculiar Disco Moves is now available to be seen. So take a look! It is a fun time travelling video for a catchy song which the band is releasing on 9th May at a launch gig at the Mining Institute in Newcastle. Sunday 8th April took us to the Chillingham Arms for a monster music video shoot which saw us leave home at 9.00a.m. and return at 11.30p.m. However we had a great day working with Peculiar Disco Moves on a whimsical time travelling video which will coincide with the launch of their next single release 'Lost For Words' due very shortly. The day took the bands performance through musical eras from 1920's to the present time. Whilst the day was long it was certainly great fun and everyone worked really hard for a very long time. Particular thanks must be given to the Chillingham Arms for allowing us to use their upstairs room for the entire day. Take a look at the film that we produced for The 'Northumberland Adult Learning Service'. It follows an assessment day for young people which aimed to find out whether they met the high standards required to enter a modern apprenticeship. We have been busy over the last year but have been very poor at updating our site. We are planning a complete website re-vamp in the next few months but in the meantime here are a few things that we have been up to during the last year. Our Zombie music video for Athletes in Paris turned out really well and has been available to view since June 2013. We were again present at the Corbridge Festival to capture the atmosphere of this amazing music festival. We are fortunate to have such an event in our home region. The event culminated with headliners Toploader playing Dancing in the Moonlight. We were grateful to be able to use their latest single release, 'Turn it Around' from that time to play through the official event video. Working with So What Robot again with a great fun video that has them behaving badly for their single 'In Love with Love'. Their reputation in the area is growing and they are featuring in more music festivals in region. We certainly got one or two strange looks whilst filming. Matthew Brown put together an amazing package of special effects for a green screen video he filmed for 'Safari' one of the latest string of songs by top North East band,Vinyl Jacket. Working with Athletes in Paris again we had a challenging weekend on 16th & 17th March filming their new music video feature zombies. The zombies were amazing, like the band, completely entered into their roles in some quite public locations. 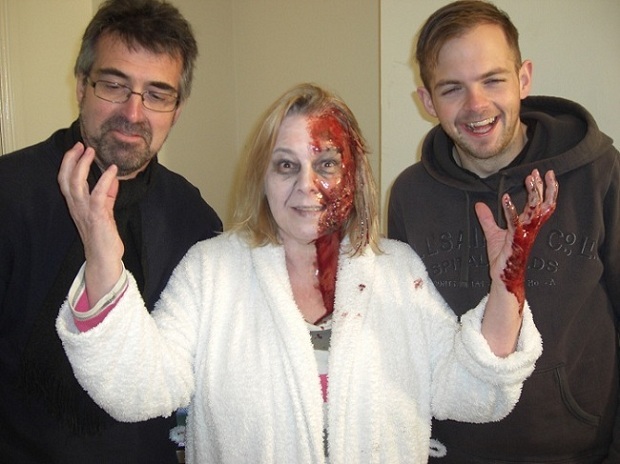 The make-up was provided by Christine Wray of 'Shades of Wray fx' and all the zombies underwent a real transformation. The weather for the outdoor scenes was very cold but fortunately we avoided the heavy sleet showers and despite everyone getting cold at some point or other spirits remained high for the whole shoot. We have continued to work with Northumberland County Council with filming at several schools in Northumberland to produce some training material aimed a senior teaching staff within schools. The aim of the set of training films is to give senior leaders in schools an idea of what to expect should they apply and consequently are appointed as head teachers. Using two cameras we were still able to relax several head teachers as we posed a range of questions about the challenges of being a new head teacher. The results have been very engaging and successful. We can reflect on the fact that whatever we are tasked with producing that our aims are achieved as we continue to bring quality and creativity to whatever challenge we face. 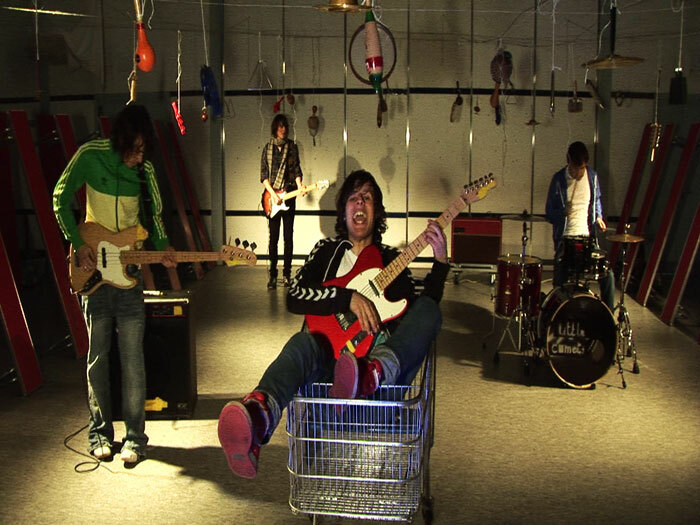 Up and coming North East band 'Athletes in Paris' worked with us to produce a music video for their most recent single 'Borrowed Time' due to be released 11th March 2013 via 'The Animal Farm' label. 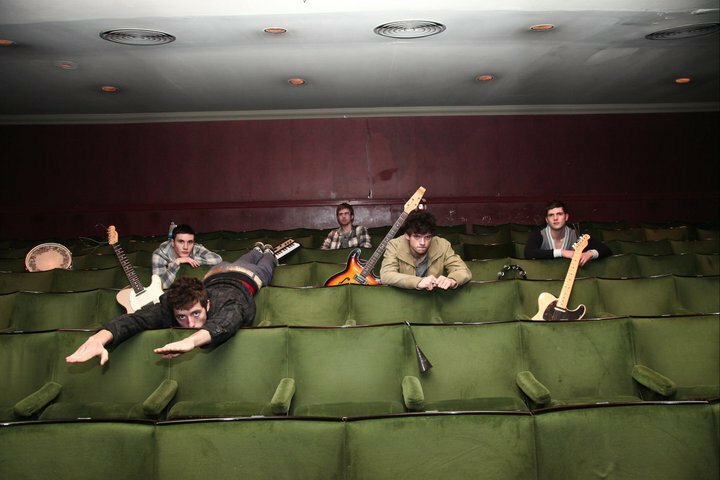 The video was filmed in a dance studio at The Custom House in South Shields and also in Haltwhistle before Christmas 2012. It was directed by Matthew Brown of Flashlight Films and it was great fun to film which can easily seen in the video itself. We had additional crew assisting with the South Shields set from Katherine Wilkes, a recent film production graduate, and, photographer Simone Rudolphi, of S R Projects, who certainly had their hands full during the day particularly when required to manage the ‘Confetti Canon’! Athletes in Paris have quite a unique sound and are becoming very well known in the North East but plan to relocate to London to advance their career but only after filming another music video with us in March. 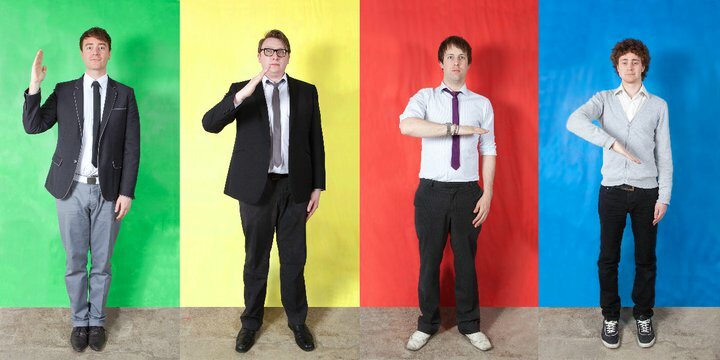 The band have regular radio air time and were recently featured on the BBC Radio 6 Tom Robinson Show. As the end 2012 draws near we would like to wish everyone, friends and colleagues, an enjoyable festive season. We also would like to strongly encourage people particularly in the North East to go and buy a charity single produced by ‘Tiny Lights Recordings’. Working with many of the best north east bands and artists they have released an album called ‘Silent Night,Tiny Lights’ and it features 19 tracks. All artists and the studio provided their material and time free of charge - and likewise so did we when we filmed ‘So What Robot’ recording their contribution called ‘Shakin’ Stevens, aged 8’. Matthew edited two versions of the song, one using our main cameras and another using multi-shots where mobile phones and web cams were used to capture some unusual angles. It also features our new custom built ring light which incorporates 1200watts of light from 12 sources around a ring. - Helping to promote apprenticeships organised through the Northumberland Adult Learning Service. - Working with education to enhance leadership and management within schools, an engaging DVD was produced which looks at different management structures currently being used in Northumberland schools. The different sections of this DVD have also been incorporated on the ‘Nortal Portal’ as part a Senior Leadership training package. We are looking forward to extending this work in 2013. - Updating the information DVD for the Surestart Services in Western Tynedale. We have also provided the separate films form this DVD in appropriated formats to enable many of the sections to be hosted on the ‘Surestart – West Northumberland Children’s Centres’ website, which we hope will all be available in 2013. Also we would like to congratulate Jackie McCormick OBE for her deserved inclusion in the New year’s honours list. Ian with Jackie at Hexham at the launch of the DVD and the play vans in 2009. 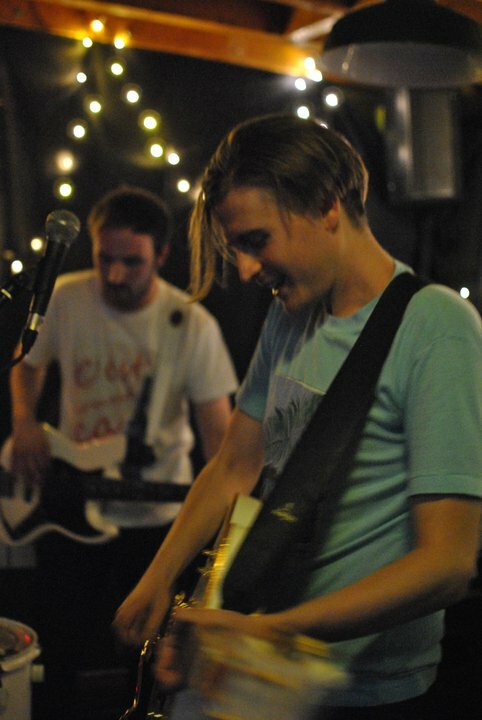 We filmed a live session for So What Robot earlier this year, it was a hot day so it must have been a while ago! Here is the video for "You Shouldn't Do It" live for Sesh1. Here at Flashlight Films we have recently upgraded our edit suite and it looks amazing! This upgrade isn't just hardware (currently looking at a dual High Definition display with plans to add a third monitor) but software as well. We have joined the Adobe Creative Cloud, this means we have access to the latest versions of all Adobe products. But what does this all mean? It means we can deliver videos even faster than before as our set up is more efficient than ever, plus all our software will be the very newest version helping us create cutting edge video content. After what seemed a long wait this music video has finally become public. Filmed in April of this year at a number of locations it involved a lot extras who coped amazingly well particularly in the freezing conditions that we experienced around Newcastle for the outdoor shoot. Nevertheless, despite the weather, it was great fun to shoot and is even more fun to watch! We were delighted to be working with and be part of the 2012 Corbridge Festival on 7th July. Despite continual rain leading up to the event, the venue not only coped with the condiitions but the was blessed with sunshine for the day. There were plenty of things going on alongside the music, which was of the highest quality. It is definitely a festival worth visiting as you will see from the video of the days events. It is already past midsummer and it seems to have rained non-stop, however, it has not stopped us getting out and producing a crop of new music videos. The first is the official music video for Polarsets with a song called 'Distance' from their Exotica EP. It was filmed by the band using their mobile phones whilst they were on tour. The second, a video for Vinyl Jacket, was based around a live performance at The Sage Gateshead. It also uses other footage which they took whilst on tour. is a growing marketing business based in Gateshead and we were asked to work with them on this promotional event at the Baltic Arts Centre. We filmed a remarkable evening to celebate a new partnership between the Travel Bureau (based in Gosforth) and Kuoni. The special guest for the evening was BBC travel presenter, Simon Reeve, who talked about some of his adventures, good and bad, from the making of his recent TV travel series 'Indian Ocean with Simon Reeve'. The event was very enjoyable and we were particulalry pleased to have some time with Simon himself. 2012 has seen considerably more corporate work particularly with key organisations within Northumberland County Council. We have updated an information DVD for Surestart in West Northumberland. We changed a few sections and added an additional section about the Ponteland Children Centre, which had not been built when we produced the original DVD which was aimed at all prospective parents in the West Tynedale area. The next films gave Ian a chance to use his depth of experience and knowledge to plan two further videos for the County Council. Firstly, a film for the 'Northumberland Adult Learning Service' to show exactly what happens at a 'Screening Day' for young people wishing to embark on an apprenticeship. This film is useful and informative for both young people and potential employers thinking about having an apprentice. The film is now publicly available on the County Councils youtube site. Secondly, a film called “A 'Head' of our times”, involved a range of different schools and explored the different management styles currently working in Northumberland other than the traditional headship model. Hannnah Brown was added as a partner to Flashlight Films. Hannah is linguist, musician and good organiser who has already helped out on several shoots. Her skills as a fixer will be put to good use in arranging locations, actors and any details that need to be finalised before starting a shoot. Now that the festive period is over with we are now working hard on various video projects and are currently planning our next music video. Incase you hadn't seen, our music videos have now had over half a million views on YouTube, which is a tremendous achievement. Next target is a million! Currently we are just putting the final touches to a project for Sure Start nurseries and are moving into pre-production on our next project. Scheduling for our next music video is being done right now, so if you are interested getting involved contact us as soon as possible. Finally, if you are on Twitter you can now follow Matthew @Flashlight_uk where he tweets about anything and everything. Into The Valley is a new online lifestyle magazine focusing on Tynedale. They wrote an article about us earlier this month where they chatted to us about what we have been up to over the past year, our influences and what we have lined up next (expect some very nice looking videos coming your way at the start of 2012). Here is the link to the article. 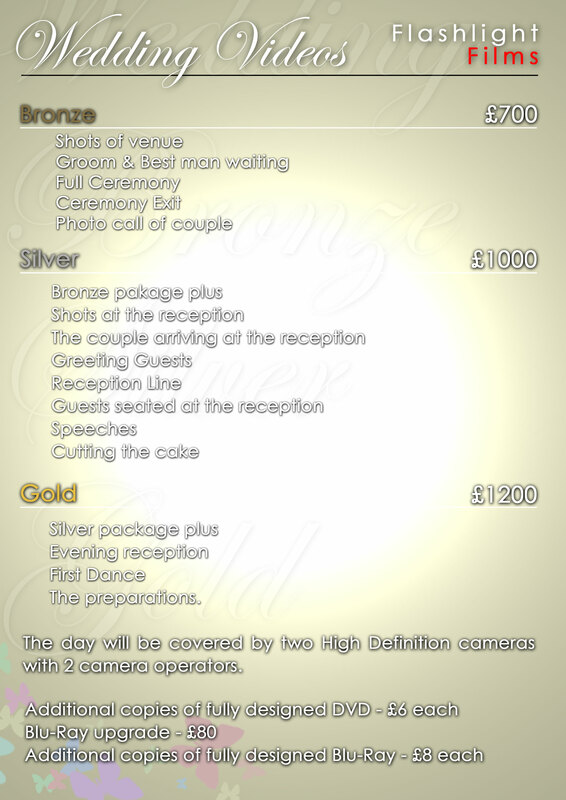 Our new price list for wedding videos for the coming year has just been released, you can view it here. If you would like any more details or a more detailed quote please get in contact. So What Robot's single "A Girl Who Reads" and Vinyl Jacket's debut single "Painting Stations" have both been picked to be shown as part of the BBC Music Video Festival. "A Girl Who Reads" will be shown on the big screen in Middlesbrough and "Painting Stations" with be shown in both Middlesbrough and Edinburgh. Again, a big thank you to everyone involved in creating the videos. On a side note, Vinyl Jacket were in session on Huw Stephens last night on Radio 1, you can catch the show again on iPlayer. Polarsets new single on itunes, it's scheduled to be released on 18th September through MODA Records. The band will shortly be embarking on their UK & Europe tour and then to top that off they will be playing Bogota, Columbia. They have got a lot of dates lined up, so make sure you can catch them live because these guys are going to be big! After it got premiered on thisisfakeDIY yesterday, you can now watch the video we created for Polarsets new single "Morning" on our YouTube page. A big thank you to everyone who came along to the shoot to help, all the animal extras, runners and lighting engineers. The video we created for Polarsets brand new single "Morning" has just premiered on thisisfakediy.co.uk ahead of its physical release through Neon Gold Records on 8th August. With the digital release coming September 8th via Moda Records. They have a bunch of live dates posted on their facebook including the single launch which will be taking place on 12th August at The Cluny in Newcastle. Here is the video we created for So What Robot's debut single "A Girl Who Reads" released 22 August. The single launch will take place at The Tyne Bar in Newcastle on Sunday 21st August and it's free! What more could you want? Several updates to post today, first, we have set up a Twitter account so go follow us @Flashlight_uk where we shall be tweeting about all sorts of things that we are up to. Next, we have finally got our Facebook page sorted out, so if you would do us the pleasure of clicking the "Like" button on there we would greatly appreciate it. So What Robot for their Technological Experiment, in which they streamed a gig live over the internet. There will be some additional footage that will appear on the ineternet over the next couple of weeks for those who missed the live stream. We also created the video for their debut single which we shall be posting on this site in the next couple of days, so keep your eyes peeled. And finally, while we were shooting the "KOALA" video for the lovely Vinyl Jacket boys we happend to get a little bit of footage of them opening the mainstage at this years Evolution festival. Sorry for the delay in any updates, but here at Flashlight Films we have been very busy over the past 3 months working on several music videos. We will be posting them on here over the next few days starting today with the video we made for Vinyl Jacket's 2nd single "KOALA". A big thank you to all involved with creating the video. New video for Grey Bull Bed & Breakfast in Haltwhistle. We have just completed a short promotional video for the Grey Bull Bed & Breakfast situated in Haltwhistle, Northumberland. It shall be used to help promote their business via their website. Little Comet's video "One Night In October" achieves a quarter of a million hits! The video we produced for Little Comets first single One Night In October has achieved over 250 000 views on YouTube. Having just released their debut album, In Search Of Elusive Little Comets, and with their quirky one guitar version of the song going viral, our video has really had a surge in views. If you haven't seen it yet, then where have you been? But here it is anyway. 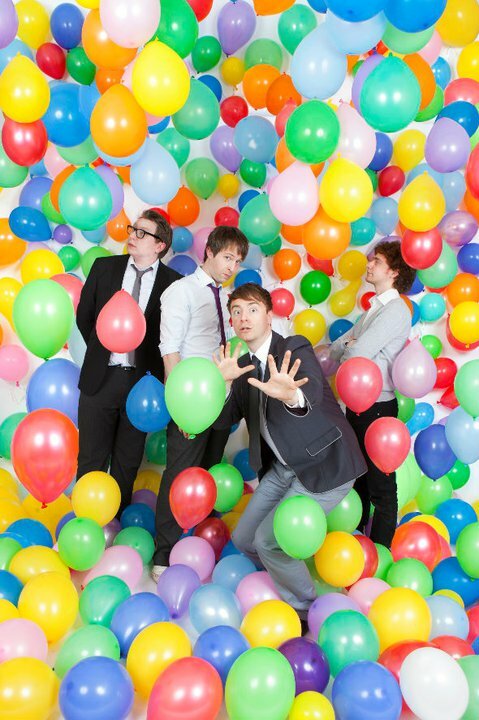 They have just completed a successful UK tour climaxing in a sell out gig at Northumbria University in Newcastle. If you missed them you may be able to catch them at some festivals over the summer. Flashlight Films are pleased to announce the release of their latest video for Vinyl Jacket's new single Painting Stations. The video has just gone live with the single being released on 21st February through The Calico Print. You can pre-order your copy now at Vinyl Jacket's Band Camp page, where you can also admire the lovely artwork created by the very talented Emilee Seymour. Watch the video, enjoy and go and buy the single! Happy 2011 from Flashlight Films! With the new year comes our first update in many months. But with good reason, we have had a tremendously busy time of late with a wide variety of projects on the go. Over the past couple of months we have completed several projects including; a presentation for Northumberland National Park, a social corporate event for Nandos staff and two short films for Northumberland County Youth Service. Where we worked with young people to produce films based on ideas that they had put together. This was part of a county wide project managed by Engage Media. The festive season also brought a repeat visit to Broomley First School for their Christmas performance, where we captured the evening and produced a DVD for parents to enjoy. But the big news of late is the completetion of a new music video for an up and coming North East band. The video is expected to go live in the next couple of days, so make sure you check back to see it in its full HD glory. But in the mean time here is a little hint to who the video is for, Legendary rock icon and Radio 6 music presenter Tom Robinson picked them out as one of the bands to watch for in 2011, stating they "blew him away" and proclaiming them to be "world class!" We look forward to what should be a promising and exciting year. We have just completed and delivered our first piece of work for Haydon Bridge High School. 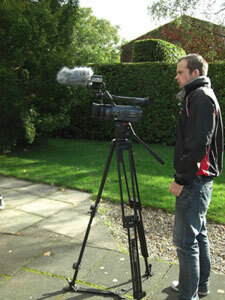 The filming took place in the middle of July 2010 and is about the induction day for new students. The film documents the day and is also filled with views and comments from the young people themselves who were present for that day. The film will have a range of purposes, not least, as a preparation for potential new students in the future whilst they are still in their old schools before their transition to High School. This work is part of a longer term project which will track the careers of a small group of young people as they pass through Haydon Bridge High School. Flashlight Films are currently fully North East Service Provider Register approved and our register number is 17168. This means that we have been fully approved by BENE (Business & Enterprise North East) who have taken up our references and have ensured that we are fully covered with Professional Indemnity and Public Liability insurances. For all our current and new clients this also means that there maybe some financial support for any filming projects that you may want us to undertake for you. Flashlight Films at "Summer Net Together"
Flashlight films has recently joined Codeworks Connect an organisation aimed at businesses in the digital and creative market sector offering a full range of support services to its members. 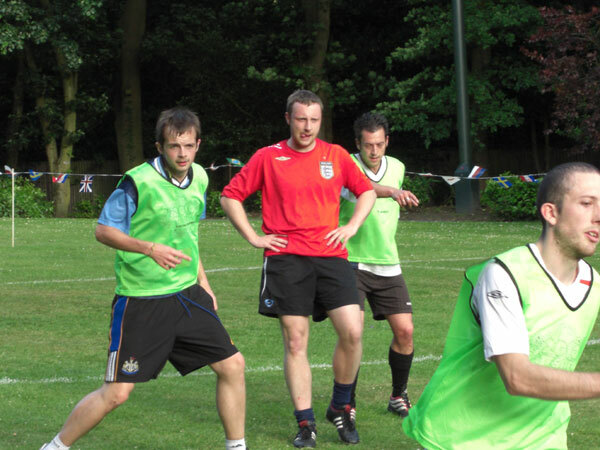 We attended the annual "Summer Net Together" in Saltwell Park on the 24th June, which naturally had a World Cup theme. 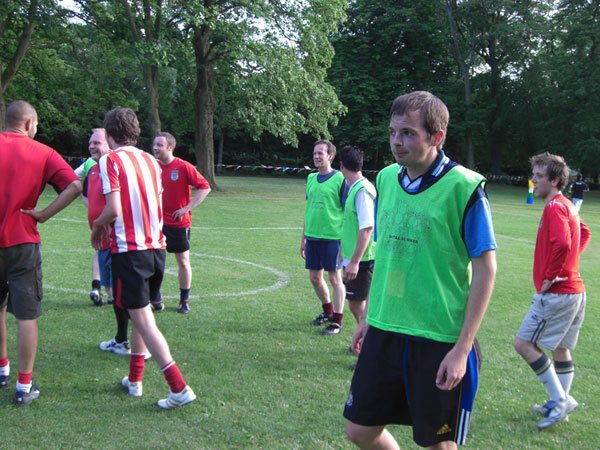 We put our names forward for the football competition only for Ian to tear a calf muscle immediately after kick off. Matthew, however, got stuck in and reached the final of the event. After that there was a wide range of other activities, a band playing in the marquee all night and plenty of opportunities to network. 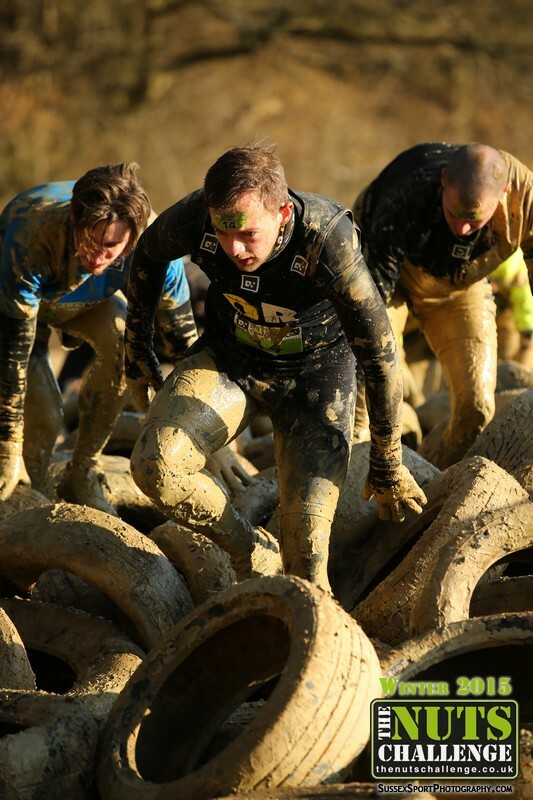 It was a great venue, with great weather and, despite a very sore calf muscle, a great event. WOW solutions has put together the footage we shot for them in March 2010 and is now online in the form of a montage on the PSP metal facade solutions website. The video starts with the exterior of the building and then proceeds inside showing the range of activities and processes that take place within their Shildon (County Durham) premises. We have just completed a film documenting the "Annual Football Challenge" at the Sands Centre in Carlisle. The day was an event that involved the James Rennie School, The Cumberland Football Development Team and the Learning Difficulties and Disabilities team for Cumbria County Council. "One Night In October" reaches over 100,000 views! The video we made for Little Comets single "One Night In October" has reached over 100,000 views on their YouTube page. For those who have not seen the video yet click here. They have also announced a UK tour that starts this month, check out their myspace page for details. Haltwhistle Community Campus in Venture with Flashlight Films. An article taken from the Journal Live website about our work on an innovative school prospectus produced on DVD. To read it click here. Flashlight Films Joins with Sure Start Celebrations in West Northumberland. An article about our work with Sure Start Northumberland has been posted on the Journal Live website. To read it click here. Flashlight Films' new website goes live! Our very first website has just gone live, it includes details about us, what we can offer, our previous clients, some of our previous videos and more. We hope to update the site on a regular basis with new videos, information on what we are doing at the moment as well as offers on rates and events that may interest you.